The better your chances are at getting the best possible price for your home in the quickest time possible! Wieder Realty advertises in many essential areas in order to maximize our Seller's exposure. Advertisements in newspapers & magazines - Such as the Sun-Sentinel, Palm-Aire News & Views, the New York Times, the Jewish Journal, the New Times, the Philadelphia Exponent, the Toronto Star, the Canadian Jewish News, etc. Click here for an example of one of our Sun-Sentinel HomeSpot Ads. Marketing is the art of describing your property in the best possible light without misrepresenting it. Advertising is the ability to put your home in front of the people who are most likely to want to buy it. Wieder Realty also stays involved with community events and charities. We are honored to be able to donate to such causes as Breast Cancer Research & Broward Sheriff's Policeman Benevolent Association. We also donate the full cost of producing the directory for the Sabals Executive Golf Association (S.E.G.A. 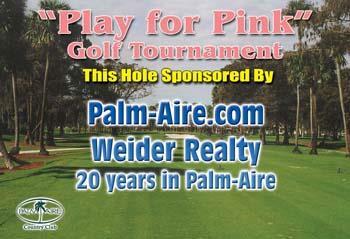 ), a wonderful group of Palm-Aire residents involved in golf tournaments and social events. At Wieder Realty, we understand that 80% of today's home buyers start their search on the internet and we strive to make the best of that. 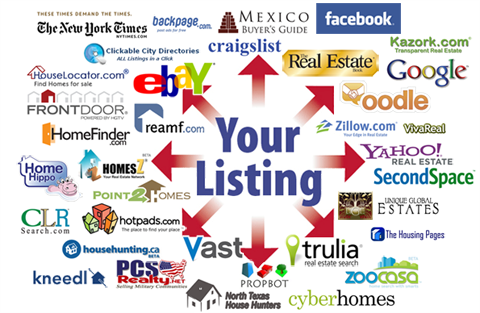 Which is why our listings have multiple pictures, virtual tours, and properties with map views. We advertise on over two dozen real estate realted websites and we constandly advertise in newspapers and local magazines. We also love to send out postcards and give away great promotional gifts. The real estate market in South Florida is constantly changing, especially lately, and it takes an experienced professional to move your house quickly, professionally, and profitably.